The Toronto Maple Leafs have won all three of their games so far this year. As of right now they are tied for first place over all with Washington. I’ve started building my bandwagon so that it’s ready for the Stanley Cup parade. Haven’t found any wheels yet, should I be worried that as soon as I find them they’ll fall off? The rescue of the Chilean miners has been a great triumph of engineering and the human spirt. 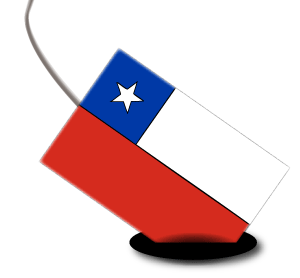 Congratulations to the nation of Chile and everyone involved. What a great story, and what great television. I started watching the first three miners rescued last night and watched a more of the rescues on-line at work. The images were compelling; the large pulley wheel turning counter-clockwise as the rescue pod went down, clockwise as it hauled someone up. A variety of faces and emotions up top in HD contrasted against the minors below in grainy digital video. Every 20 minutes the pod showed up at each end of the hole bored to rescue the miners. At the bottom an excited minor either welcomed a rescuer or jumped aboard the rescue pod. Then 20 minutes later there was an emotional reunion with loved ones at the surface – each with its own back story. The miners have made a pact to share the profits of their story and not to only tell the story starting after the first 17 days – only building the integer. Here’s hoping they make the most of their ordeal and their able to tell their story and benefit from it. Here’s hoping that other miners benefit from a closer look at their safety after this. For now it felt good to have a disaster end in great news that the whole world could be a part of. You are currently browsing the iMatt :: The Blog of Matt Clare weblog archives for October, 2010 .